Last month, I attended an ExCEEd Teaching Workshop at Florida Gulf Coast University in Ft. Myers, Florida. Some 24 civil engineering faculty participants from universities around the nation attended. 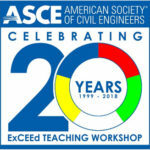 ExCEEd, in its 17th year and funded in part by a grant from ASCE’s Foundation, works with civil engineering educators to help them develop high-quality teaching methods and skills. CE instructors drawn from all levels of experience receive an ExCEEd fellowship to attend a summer workshop. The goal is to have the educators apply what they’ve learned, serving as positive CE role models in classrooms. Since 1999, 789 educators have taken part in this workshop. This represents about one-third of all civil engineering professors. Those civil engineering professors in turn have impacted many thousands of civil engineering students, who are the future of our profession. Education is at the forefront of everything we do at ASCE, ranging from K-12 outreach, to formal education, to continuing professional development. ASCE is committed to ensuring that civil engineers have the educational opportunities and resources to enhance their talents, not only to meet today’s demands but also those of the future. With our Raise the Bar initiative, one of the Society’s three strategic priorities, ASCE has worked hard on developing and updating the Body of Knowledge defining the knowledge, skills and attitudes needed to enter into civil engineering professional practice, and we believe that civil engineers will need advanced education beyond a bachelor’s degree to meet their responsibilities to protect the public’s health, safety, and welfare. Beyond formal education, you still need to keep up with trends and new technologies in your field. As a member, you can get access to civil engineering’s leading experts and information through our many conferences—from the annual convention to specialized technical conferences through ASCE’s institutes. Show your expertise to clients and your employer by getting an ASCE post-licensure certification in your specialty. If you’re looking to brush up your skills this summer, and we all can use a little brushing up, sign up for a live webinar and earn PDHs on practical topics at the convenience of your laptop. 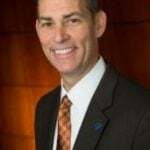 As ASCE President Stevens said in a recent speech to student members, “Even though I don’t look like it, I’m a student just like you. You can never stop being one.” I could not agree more. We are all students, and we need to continuously learn in a rapidly changing world and a dynamic profession, and your Society and fellow members are here to help you continue to grow and learn. ASCE recently released Infrastructure #GameChangers, a report and associated website identifying top trends in energy, freight, transportation and water, and the ways they are transforming how infrastructure is designed, planned, and built. 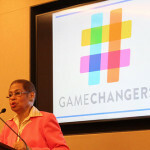 Explore more than 30 examples at ASCEgamechangers.org. The first ASCE Convention in October will draw civil engineers from across the country and around the world to New York City. The successor to our annual conference will explore the state of the industry and profession with a thought-provoking, multidisciplinary program. Technical sessions and tours of significant infrastructure, including work on the new Second Avenue Subway, the replacement Tappan Zee Bridge, a new cable stayed bridge, and more can earn as many as 24 PDHs. The Distinguished Lecture series is returning with three authors delivering engrossing talks, and opening keynote speaker Luke Williams is an authority on business innovation leadership. Registration has opened; sign up now and save as much as $200. Check out the new ASCE Convention. The Society’s ninth specialty Institute, the Utility Engineering and Surveying Institute, has been approved by the Board of Direction. The first national organization for professionals in the infrastructure of utility pipelines for every product, and for those in engineering surveying/geomatics, will debut in August at our 2015 Pipelines Conference. Learn about UESI and express an interest in joining. Now in production for a 2017 release, Dream Big, ASCE’s giant-screen documentary on engineering, seeks a diverse group of teenagers with the spirit to dream big to solve global challenges and the budding engineering talent to make those dreams real. If you know a teen like that, nominate her or him to be featured as a Dream Big Young Innovator. Send to dreambigpartner@asce.org a brief biography, a portrait photo and/or one in action, and a note on why you think they qualify. ASCE’s Public Agency Peer Review Service will give you a fresh perspective on what’s working and what’s not in your government agency, and how to make improvements, with the advice you’ll get from. Volunteer peer reviewers, including experienced public agency leaders, provide a confidential, customized evaluation, including insights into how other organizations have addressed similar challenges. Write to professional@asce.org with any questions. Explore the program. You can provide expertise to underserved U.S. communities through Community Engineering Corps (CE Corps). Just over a year ago, ASCE, the American Water Works Association and Engineers Without Borders USA formed CE Corps, enabling members of each group to volunteer their engineering services to help underserved communities in the United States meet critical infrastructure needs. Help improve a community’s quality of life while helping to implement sustainable solutions. Learn more about the CE Corps and how to volunteer for projects.